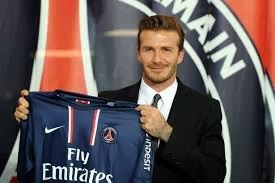 On 31 January 2013, David Beckham made his last move, signing a five-month deal with Paris Saint-Germain. The 37-year old midfielder had just come off back-to-back title-winning seasons with the Los Angeles Galaxy after previously taking league honors in England with Manchester United and in Spain with Real Madrid. Despite having one year left on his contract with Los Angeles, he announced in November 2012 that he was not returning. He trained with Arsenal in January 2013, sparking rumors of a return to the Premier League, but signed with PSG on the last day of the winter transfer window. The terms of the deal were not disclosed, but Beckham announced that he would donate all of his salary to a children's charity. Although he made only ten league appearances, he helped PSG claim their first league title since 1994, making him a champion in four different countries. He then retired at the end of the season. Labels: David Beckham, Paris Saint-Germain F.C. 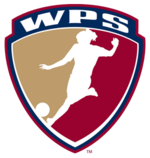 On 30 January 2012, three-year old women's league WPS announced the suspension of its fourth season, which, as it turned out, was never played. The USA's second attempt at a top-flight women's league, Women's Professional Soccer started play in 2009 with seven teams, including the Washington Freedom, the lone holdover from the previous league, WUSA. But financial problems plagued them, including the folding of 2009 champions Los Angeles after the end of the season. Although two new teams joined for 2010, another team folded after only six games, followed at the end of the season by newly-crowned champions FC Gold Pride. Still another team left for a lower league, while Washington was bought by Dan Borislow and relocated to Florida as magicJack. Borislow and the league clashed several times, with WPS alleging that his "unprofessional and disparaging treatment of his players to failure to pay his bills" was damaging to the league, then voting to terminate the franchise in October 2011. Borislow won reinstatement in a January 2012 court ruling, but rather than readmit him, WPS decided to suspend the season. In May, the league officially ceased operations. On 29 January 1950, a flurry of late goals led Atlético Madrid and Athletic Bilbao to the highest-scoring draw in La Liga history. At the time, both teams were challenging for the title. Hosts Madrid, playing in their first season under manager Helenio Herrera (pictured), were four points behind leaders Real Madrid, while Bilbao were five points back. The visitors struck first, with Agustín "Piru" Gaínza scoring in the first minute. But Madrid quickly rallied, taking a 2-1 lead into the break after goals from Henry Carlsson (3') and Larbi Benbarek (16'). In the second half, Bilbao surged back ahead with scores from Gaínza (47'), Rafael Iriondo (52', 57'), and Telmo Zarra (65') to take a 2-5 lead, then the teams swapped strikes from Madrid's Diego Lozano (68') and Iriondo (69') to push the margin to 3-6. The score remained there until the 84th minute, when Madrid received a lifeline in the form of a penalty, duly converted by Benbarek. One minute later, José Lloret cut the margin to 5-6, then Madrid's Alfonso Aparicio scored with one minute left to set the final scoreline at 6-6. The draw proved crucial, as Madrid went on to win the league by a single point over Deportivo de la Coruña. It was the first major honor for Herrera, who won La Liga with Madrid again the following season, then went on to claim multiple trophies with Barcelona, Inter, and Roma. But Bilbao didn't finish the year empty-handed, as they won the Copa del Rey over Real Valladolid. On 28 January 2008, Francesco Totti was named Italian Footballer of the Year for a record fifth time. The Italian Footballers' Association ("AIC") first announced the honor in 1997, along with additional superlatives including Best Serie A Footballer and Best Foreign Footballer. While the first award went to Sampdoria's Roberto Mancini, Totti was the recipient for 2000, in the middle of Roma's title-winning season, then again in 2001, 2003, and 2004. Roma finished as runners-up to Inter in 2007 and won the Coppa Italia, due in large part to Totti, who ended the season as the league's top scorer with 26 goals (32 in all competitions). In 2007-08, they were again chasing Inter Milan for the Scudetto, sitting in second at the winter break, seven points behind the defending champions. (Roma eventually finished in second again, but closed the gap to three points in the final table). The combined performance across both seasons led to Totti receiving the award for a fifth time, when no other player has received it more than twice (Christian Vieri in 1999 and 2002, then Alessandro del Piero in 1998 and 2008), though Milan's Kaká was named 2007 Serie A Footballer of the Year award. In 2013, the AIC changed the format of their annual awards and no longer name an Italian Footballer of the Year or the other specific honors. Instead, they have a general Footballer of the Year award, claimed by Andrea Pirlo for 2013. On 27 January 2013, Cristiano Ronaldo scored a perfect hat-trick in an 11-minute span as Real Madrid beat Getafe 4-0. The defending champions, Real Madrid started the day in third, chasing Atletico Madrid and Barcelona for the league title. They had additional incentive to win in order to avenge their away loss to Getafe from August. Still, despite a handful of early chances, it took until the 54th minute for Real Madrid to take the lead with Sergio Ramos bundling the ball home after a goalmouth scramble. Eight minutes later, Ronaldo doubled the lead with a left-footed shot that beat a defender and the keeper to the far post; the 300th goal of his club career. Then, in the 65th minute, he scored with a header to push the margin to 3-0. Finally, he added a 72nd-minute penalty, scored with his right foot to complete the perfect hat-trick. Madrid went on to take 42 of 51 available points over the remainder of the season, but finished as runners-up to Barcelona. 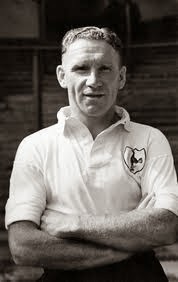 On 26 January 1919, title-winning Tottenham player and manager Bill Nicholson was born in Scarborough. Nicholson got his start with Spurs in 1936 working for the grounds staff. In 1938, he signed a professional contract with them and spent his entire career with the London club, making 214 league appearances before hanging up his boots in 1955. Along the way, he won the league title in 1951. He joined the Tottenham coaching staff in 1955 and was the first-team coach in 1958 when then-manager Jimmy Anderson was sacked. At the time, Spurs were sixth from bottom of the First Division table. They finished the season at fifth from bottom, but Nicholson eventually turned the club around, winning the Double in 1961. Nicholson went on to become one of Tottenham's most successful managers, winning two more FA Cups (1962, 1967), two League Cups (1971, 1973), the European Cup Winners' Cup (1963), and the UEFA Cup (1972). He took Spurs to the 1974 UEFA Cup Final, where they lost to Feyenoord, and resigned shortly afterward. He was inducted into the English Football Hall of Fame in 2003 and passed away the following year. Labels: Bill Nicholson, Tottenham Hotspur F.C. On 25 January 1980, Xavi Hernández, winner of the most trophies of any Spanish player in history, was born in Catalonian city of Terrassa. Most of his trophies have come from his time with Barcelona. He has spent his entire career there, first joining them in 1991 as a youth player, then graduating to the first team in August 1998. That season, he won his first silverware as Barcelona claimed the league title. Over the next fourteen seasons, he established himself as one of the central pistons in the Barça engine while collecting another six league titles, three Champions League trophies, two Club World Cups, and two Copas del Rey. He also garnered several individual honors; he was named World Soccer Magazine's Player of the Year in 2010 and three straight La Liga Midfielder of the Year awards in 2009, 2010, and 2011. Along the way, he has made 130 appearances for Spain, adding the 2010 World Cup and the 2008 and 2012 European Championships to his collection of silverware. At present, he has a record 24 titles, surpassing the previous record of 22 set by Real Madrid's Francisco Gento. He looks likely to continue expanding his list of honors, as Barcelona are currently on top of the table and Spain are among the favorites to win this summer's World Cup. 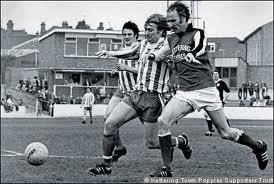 On 24 January 1976, Kettering Town introduced shirt sponsorship to British football, with a mixed reception. Shirt sponsorship originated with Uruguayan side Peñarol in the mid-1950s, expanding to France in the 1960s and Germany in the early 1970s. But no senior team in the UK tried it until Kettering's Southern Premier League match against Bath City. The idea came from Kettering Town player-manager (and chief executive) Derek Dougan, who had joined the club the previous year. He arranged a deal for local firm Kettering Tyres to sponsor their shirts in return for a four-figure deal, with their name in large letters across the front. When the FA learned of the deal, they ordered the club to remove the sponsor. Dougan attempted to work around the order by shortening the sponsor to "Kettering T" and claiming that it stood for Kettering Town. The FA were unconvinced and issued another removal order, this time with the threat of a £1,000 fine for non-compliance. By the following year, however, the FA capitulated and allowed shirt sponsorship across the board, with Hibernian becoming the first top-flight team in the UK to adopt the practice. On 23 January 1926, Manchester City beat Manchester United 6-1, setting a derby record that remains (officially) unbroken. United were back in the top flight after three seasons in the Second Division and were doing well in their return; they were sitting fourth when they hosted City, who, despite being an established First Division side with a recent string of comfortable mid-table finishes, were back in nineteenth. Their first meeting of the season had ended as a 1-1 draw at Maine Road, giving United hope that they'd improve the result at home. Instead, they got their worst shelling of the season. City poured in goals from Sam Austin (2), Frank Roberts (2), Tommy Johnson, and George Hicks, while United's only score came from Clatworthy Rennox. It was the first time United had conceded six goals since a 6-3 loss to Newcastle in January 1921 (though they shipped five to both Liverpool and West Brom earlier in the year), though it wasn't even City's highest tally of the season; they beat Burley 8-3 three months earlier. The loss dropped United down to tenth and pushed City up to fifteenth. City then went on to beat United again in the FA Cup semifinals, but ended up losing the cup to Bolton, then were relegated at the end of the season. The 6-1 result set the official record margin in the derby, since matched twice by City (who beat United 5-0 in 1955 and 6-1 in 2011) and once by United (who won 5-0 in 1994). In 1941, United won 7-1, but it was an unofficial match, since league play was suspended for World War II. 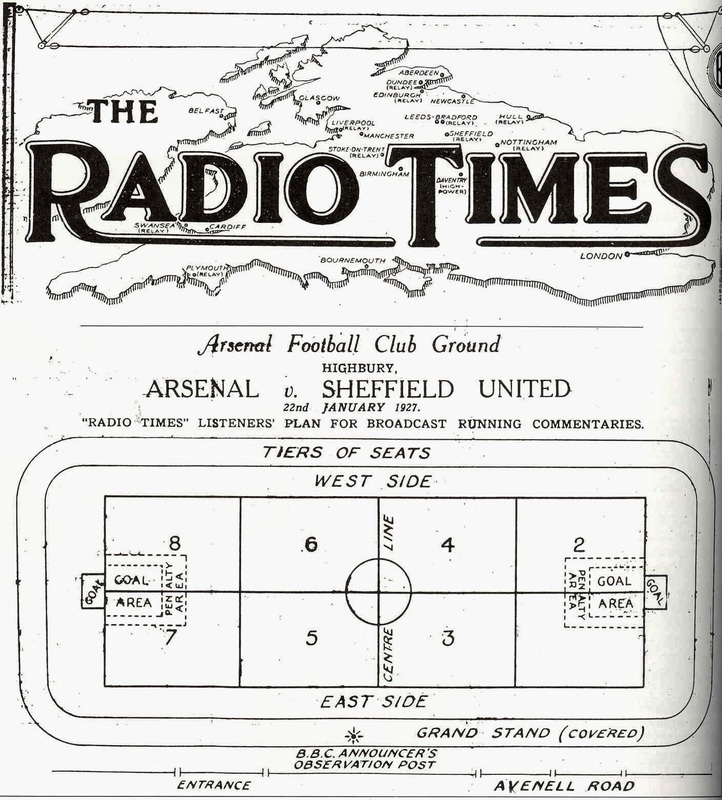 On 22 January 1927, Arsenal and Sheffield United played the first football match to be broadcast live via radio. The BBC had received a license to broadcast live sport only three weeks earlier. For their first event, they covered a Five Nations rugby match between England and Wales on 15 January with former rugby player Captain Henry Blythe Thornhill "Teddy" Wakelam providing the commentary. For ease of reference, the BBC devised a system of dividing the playing field into numbered sectors, which were printed and distributed before the game. While Wakelam described the action for the listeners, his partner C.A. Lewis announced the sectors in which the events were taking place. Wakelam, Lewis, and the numbering system returned for the Arsenal-Sheffield United match, a league contest played at Highbury. Taking up a position in the east grandstand, Wakelem watched as Charlie Buchan put the hosts in front, then Billy Gillespie equalized to take a 1-1 draw. Live radio broadcasts became a huge success, as did Wakelam, who went on to commentate on a wide variety of sports and eventually moved into television starting in 1938. 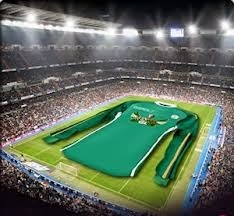 On 21 January 2013, Guinness Nigeria unveiled the world's largest football shirt. The Nigerian branch of the Irish brewer designed the shirt to promote the Super Eagles' campaign at the African Cup of Nations. It measured 241 feet, 3 inches by 294 feet, 2 inches, beating the previous record of 234 feet, 1 inch by 259 feet, 8 inches set in 2009. While the tournament was underway in South Africa, Guinness displayed the shirt back home at the Teslim Balogun Stadium in Lagos, where fans of the national team were invited to sign it as a show of support. Whether or not the shirt was responsible, Nigeria went on to win the cup, beating Burkina Faso in the final. Guinness Nigeria CEO Seni Adetu believed it played an important part, stating that "As the Super Eagles played at the tournament in South Africa, they were spurred on by the goodwill messages inscribed on the largest jersey by thousands of fans back home in Nigeria. It also raised the teams’ morale and they realised they are made of more with the support of their fans back home." On 20 January 1934, Rangers' Jimmy Fleming scored a club-record 9 goals in a club-record win over Blairgowrie. The victory came in the Scottish Cup. 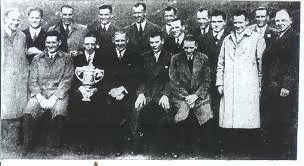 Seven-time cup champions Rangers had last won the trophy in 1932, but were eliminated by Kilmarnock in 1933 as rivals Celtic went on to win the final. So, in the 1933-34 season, Rangers were looking to recapture the cup, starting with a first-round match against Blairgowrie at Ibrox. The thirty-year old Fleming, playing in his ninth season for Rangers, wasted little time in setting the tone for the day, scoring in the first minute. He went on to add goals in the 10th, 30th, and 44th minutes as the hosts had 5 by the break (Willie Nicholson got the other goal in the 6th minute). In the second half, Fleming scored five more times (57', 60', 62', 88', 89'), setting the club record for most goals scored by a player in a single match. Rangers also got strikes from Alex Venters (56', 80') and James Marshall (59', 66') to end the day with a 14-2 win that matched the club's record for most goals in a single game, set in September 1883 against Whitehill, also 14-2. The result sent Rangers into the competition on a high note and they proceeded to win the cup, beating Saint Mirren in the final, 5-0. 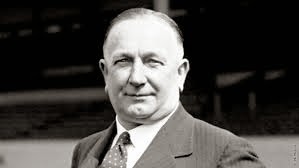 On 19 January 1878, innovative Arsenal manager Herbert Chapman was born in Yorkshire. As an inside forward, Chapman enjoyed a long but itinerant playing career in England from 1895 to 1909, changing clubs every couple of years. In 1907, he started his managerial career as player-manager of Northampton Town before moving to Leeds City in 1912. He left Leeds City in 1918 amid a brewing scandal about illegal player payments. The club refused to allow the Football League to examine their financial records, which led the League to expel Leeds City in October 1919. The League also issued lifetime bans on five club officials, including Chapman. The club dissolved and its Elland Road grounds were soon taken over by the newly-formed Leeds United. After a brief period out of football, Chapman successfully appealed his ban and joined Huddersfield Town as assistant manager in February 1921. He became the full manager in March and led the club to the FA Cup trophy in the 1921-22 season and the league titles in the 1923-24 and 1924-25 seasons. In 1925, Arsenal lured Chapman away by doubling his salary to £2,000. Arsenal finished second that year, five points behind Huddersfield Town. In 1930, Chapman's Arsenal defeated Huddersfield Town in the FA Cup Final, claiming the Gunners' first major trophy. Additional successes soon followed, with league titles in 1930-31 and 1932-33. He is credited with introducing several innovations to the game, including early adoption of the 3-2-2-3 "WM" formation, putting numbers on the players' shirts, and encouraging physical fitness through the use of strict training plans and physiotherapists. At Arsenal, he is perhaps best known for adding white sleeves to the Gunners' red shirts. Chapman stayed with Arsenal until his death on 6 January 1934 from pneumonia. Labels: Arsenal F.C., Herbert Chapman, Huddersfield Town F.C., Leeds City F.C. 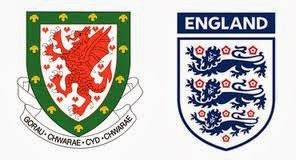 On 18 January 1879, England and Wales met for the first time, with England winning 2-1. Established in 1872, England were the more experienced side, having played seven previous matches, all against Scotland, while the Welsh team, founded four years later, had played (and lost) only three, also against Scotland. The teams met at the snow-covered Oval in London, with sleet coming down for parts of the match. The weather impacted travel for England's scheduled goalkeeper, Reverand Blackmore, and his spot was taken by Rupert Anderson, a forward. When the match finally started at 3:15 pm, play was limited to two thirty-minute halves. It didn't take long for England to pull ahead--they scored in the eighth minute through Herbert Whitfield, then doubled their lead with a goal from Thomas Sorby twelve minutes later. Wales cut the deficit in the second half when William Henry Davis scored--it was not just Wales' first goal of the game, but their first goal ever, as they had been shut out in their previous three games. Reports variously list the time of his goal as the 45th or 47th minute. That was as close as they got, however, as England held on for the win. On 17 January 1968, new Barcelona president Narcís de Carreras gave a speech that prompted the club's motto "more than a club." 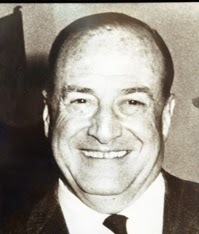 A lawyer by profession, Carreras had been involved with the club for some time, twice serving as vice president under Agustí Montal and Enric Martí. When the latter resigned in September 1953, Carreras planned to run for president, but political pressures prevented him. He finally stood for election at the end of 1967 after the seven-year tenure of Enric Llaudet. It was during his acceptance speech on 17 January that he said "Barcelona is something more than a football club." The phrase soon became Barcelona's motto and an integral part of their identity. Unfortunately, that may have been the most lasting element of Carreras' time in office. 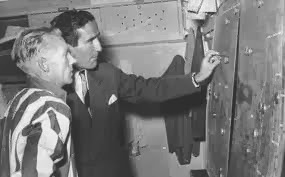 An ambitious deal to hire manager Helenio Herrera away from Inter fell apart while Carreras was out of the country with the Fairs Cup Organizing Committee, leading members of a fractious board to question Carreras' authority and he resigned on 18 December 1969. 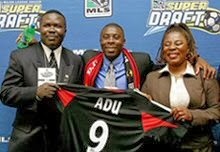 On 16 January 2004, DC United selected 14-year old Freddy Adu with the first pick of the MLS SuperDraft. The pick was a formality, as DC has already signed Adu to a contract the previous November and acquired the first pick in a trade with the Dallas Burn. The deal was brokered by MLS in effort to keep Adu close to his hometown in Maryland. He became the youngest player drafted in MLS history, breaking the previous record set by Bobby Convey and Santino Quaranta, both drafted by DC United at sixteen. Adu remained with DC for only three seasons before moving to Real Salt Lake in 2007, starting a journey that saw him play for another seven clubs over the next six years. Other players drafted that year included future international stars Clint Dempsey (USA), taken eighth by New England, and Ramón Núñez (Honduras), picked sixth by Dallas. On 15 January 2012, Betis ended Barcelona's Spanish-record home clean sheet streak, but still lost 4-2. The streak started the previous season when Barcelona beat Osasuna 2-0 on 23 April, then carried through the first half of the 2011-12 season, reaching a total of 12 games with a 5-0 victory over Levante on 3 December. But that's where it ended, as Barça's next home league match was against Betis. Despite going down 2-0 to goals from Xavi (9') and Lionel Messi (11'), Rubén Castro scored in the 31st minute, to cut the deficit to 2-1 and end Barcelona's run of shut-outs. Down 2-1 at the break, Betis drew level in the 50th minute through Roque Santa Cruz. It stayed level until late, when Alexis (73') put the hosts back ahead, then Messi added another for security (80'). Although they were denied the win, Betis could have taken some comfort in breaking the spell of Barcelona's home form, as they went on to concede goals in their next four home games. On 14 January 2011, the Western New York Flash selected forward Alex Morgan with the first pick in the WPS draft. She went on to become a breakout star for club and country. Born and raised in California, she played for the University of California, Berkeley from 2007 to 2010, finishing as the team's top scorer in all four years. In March 2010, she earned her first senior cap for the United States, making a total of eight appearances that year. With her star clearly on the rise, Western New York needed little incentive to make her the draft's top pick over Virginia's Sinead Farrelly (chosen second by Philadelphia) and North Carolina's Meghan Klingenberg (taken third by Washington). The Flash had gone undefeated in 2010, winning the W-League Championship, but moved to the top-flight WPS for 2011. Playing alongside forwards Marta and Christine Sinclair, Morgan made thirteen appearances and scored four times as the Flash won the league in their debut season. Unfortunately, WPS suspended operations before the 2012 season, but Morgan moved back to the W-League to play for the Seattle Sounders. She continued to shine for the United States, mostly as a substitute in 2011, but becoming a regular starter in 2012. She led the team in goals (28) and assists (21) and helped them claim the Olympic gold medal over Japan, then finished third in voting for the 2012 FIFA Player of the Year Award. In 2013, Morgan signed with the Portland Thorns of the new women's top flight, the NWSL, and won the league title. On 13 January 2008, Ronaldo scored his last two goals in European club competition as Milan beat Napoli 5-2. The striker, who started his career in Brazil with Cruzeiro from 1993, moved to Europe in 1994 to play for PSV. He spent two seasons there, followed by stints with Barcelona (1996-97), Inter Milan (1997-2002), and Real Madrid (2002-06) before joining AC Milan in the summer of 2006. Along the way, he scored a total of 271 goals in Europe through the 2006-07 season, winning a European Golden Boot (1997) and two Ballons d'Or (1997, 2002). By the 2007-08 season, however, injuries and weight problems limited his playing time and effectiveness, holding him to six appearances and only two goals. Both of those goals came against Napoli (15', 46'), as he combined with his Brazilian compatriots Kaká (68') and Alexandre Pato (74') to dismantle the visiting side. (Clarence Seedorf provided the remaining goal (31')). Unfortunately for Ronaldo and Milan, he suffered a season-ending knee injury one month later against Livorno, making those two goals against Napoli his only competitive scores of the season. Milan then released him that summer. The injury was potentially career-ending, but he underwent a successful rehabilitation and returned to the pitch in March 2009 for Corinthians and remained with the club until his retirement in February 2011. On 12 January 2013, Stoke City suffered their first home league loss of the season thanks in part to a pair of own goals. The Potters had risen to eighth in the Premier League table by the end of December due largely to an impressive home form that saw them win five and draw five of their ten league games at Britannia Stadium. At the time, they were the only team in the top four levels of the English football pyramid to remain unbeaten at home. An away loss to Manchester City on New Year's Day dropped them to ninth, but their next game was back at the Britannia against Chelsea. Although sitting fourth in the table, Chelsea had just had back-to-back home losses against QPR (in the league) and Swansea (in the League Cup) and looked primed for another defeat. But they weathered Stoke's early attack, then jumped in front with an own goal from Stoke's Jonathan Walters in first half stoppage time. Walters again found the back of his own net in the 62nd minute and the rout was on. Chelsea's Frank Lampard (65', pen.) and Eden Hazard (73') stretched the lead to 0-4 while Walters continued his nightmare of a day by missing a last-minute penalty of his own. The loss not only ended the streak, but also finished Stoke's home form, as they went on to lose four of their eight remaining home games that season en route to a thirteenth place finish. On 11 January 2007, Fulham announced the signing of Clint Dempsey, who later won back-to-back Player of the Season awards for the club. Dempsey, then 23, had spent the first three seasons of his professional career with the New England Revolution, scoring 25 goals in 71 league appearances between 2004 and 2006. 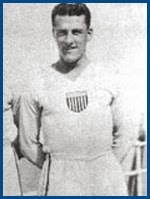 He had also become an important player for the United States, earning 23 caps during that period. That attracted the interest of Fulham manager Chris Coleman, who brought Dempsey in to play alongside his US teammates Brian McBride and Carlos Bocanegra. 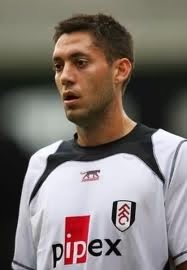 Fulham paid New England a reported £2 million to sign Dempsey, making him the Premier League's most expensive American. He paid a near-immediate dividend with a goal against Liverpool that May that kept Fulham from being relegated. In five and half seasons at Craven Cottage, he constantly improved his goal tally and was the club's top scorer in 2010-11 and 2011-12, with 13 and 23 goals, respectively, earning him Fulham's Player of the Year award for both seasons. His total tally reached 60 goals in 225 appearances, including 50 in the Premier League, a record for an American player. In the summer of 2012, he moved to Tottenham in a £6 million deal, but stayed there for only one season before returning to MLS with the Seattle Sounders. In December 2013, he rejoined Fulham on loan from Seattle. On 10 January 2006, three goals against Fiorentina made Alessandro del Piero the all-time leading scorer for Juventus. The forward joined the club in 1993, making his debut that September. Over the next twelve years, he made a total of 436 appearances, scoring 175 goals through the 2004-05 season while winning a load of silverware that includes five league titles (1995, 1997, 1998, 2000, 2002), the Champions League (1996), the UEFA Super Cup (1996), and the Intercontinental Cup (1996). By the time Juventus faced Fiorentina in the Coppa Italia in January 2006, del Piero had taken his goal tally to 182, matching the club record set by Giampiero Boniperti, who played there from 1946 to 1961. Juventus won 4-1 with a hat-trick from del Piero, lifting him to a new club record of 185 goals. By the time he left the club in 2012, after winning another league title in his last year, he had pushed the scoring record to 289 in 691 appearances. Labels: A.C.F. Fiorentina, Alessandro Del Piero, Giampiero Boniperti, Juventus F.C. 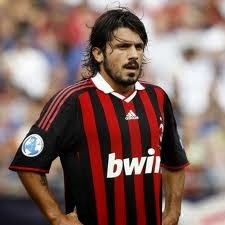 On 9 January 1978, Gennaro Gattuso, star midfielder for Italy and Milan, was born in Corigliano Calabro. A classic destroyer-type defensive mid, Gattuso started his career with Perugia (1995-1997), followed by short spells with Glasgow Rangers (1997-1998) and Salernitana (1998-99), before moving to Serie A champions AC Milan in June 1999. He quickly became a featured player for the Rossoneri, making 28 appearance in his first season, though Milan finished third. Although they failed to win any silverware in the next few seasons, they rebounded with a Champions League and Copa d'Italia double in 2002-03, then reclaimed the Scudetto the following season. Over the course of thirteen seasons in Milan, Gattuso made 468 appearances, adding another league title (2011), two UEFA Super Cups (2003, 2007), and a Club World Cup (2007) to his silverware collection. Along the way, he earned 73 caps for Italy between 2000 and 2010 and won the World Cup in 2006. After being released from Milan in 2012 at the age of 32, he spent one season with FC Sion in Switzerland, serving as the club's manager from February to May 2013. He then took charge of Palermo in June 2013, but was there for only about three months before poor performances led to his firing. 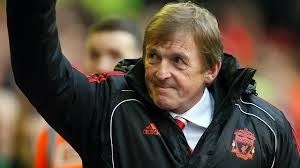 On 8 January 2011, Kenny Dalglish took charge of Liverpool for the second time, replacing sacked manager Roy Hodgson. A star striker for the club from 1977 to 1990, with 169 goals in 355 appearances, six league titles, and three European Cups, Dalglish, nicknamed "King Kenny," served as player-manager there from 1985 to 1990, then spent another season as the full-time boss. But in February 1991, despite a successful run, he stepped down, saying that the stress of the position was taking too great a toll. He returned to management that October with Blackburn Rovers and led them to the Premier League title in 1995, then stepped down again. Short spells followed with Newcastle (1997-98) and Celtic (2000) before he returned to Liverpool in 2009 to work with their youth academy. When manager Rafa Benítez left in June 2010, Dalglish helped choose Roy Hodgson to succeed him. But when the club fired Hodgson that January, they offered the post to Dalglish as caretaker, then made the position permanent later that May with a three-year contract. Although he enjoyed some success, including winning the League Cup in 2012, poor form in the league led to his sacking in May 2012. He remains involved with the club, however, and currently serves as a director. On 7 January 2013, Lionel Messi won an unprecedented fourth consecutive Ballon d'Or. The Barcelona forward first won the honor in 2009, before it merged with the FIFA World Player of the Year Award, then won the combined award, the FIFA Ballon d'Or, in 2010 and 2011. The three trophies matched the previous record, reached by only three other people—Johan Cruyff (1971, 1973, 1974), Michel Platini (1983, 1984, 1985), and Marco van Basten (1988, 1989, 1992). Then, in 2012, Messi scored an incredible 91 goals for Barcelona and Argentina, beating the previous European record of 85 goals in a calendar year, set by Gerd Müller in 1972. 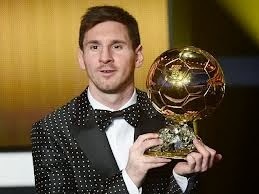 Although he suffered a slight trophy drought that year, with Barcelona winning only the Copa del Rey after taking five pieces of silverware the previous year, including the La Liga and the Champions League titles, Messi's individual accomplishment saw him get 41.60% of the Ballon d'Or vote, almost doubling the tally of second-place finisher Cristiano Ronaldo (23.68%). Other winners at the ceremony that day included the USA's Abby Wambach, the Women's World Player of the Year, and Vicente del Bosque (Spain) and Pia Sundhage (USA) as the men's and women's Coaches of the Year. 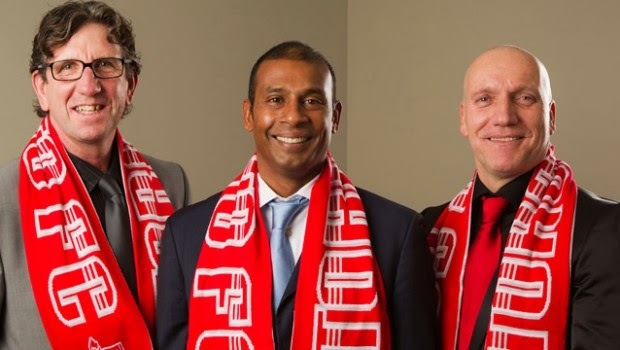 On 6 January 2011, following a complete shake-up, Toronto FC introduced their new management team, including head coach Aron Winter. The new regime didn't last very long, however. The previous November, following a disappointing season that saw them miss the MLS playoffs for the fourth straight year, Toronto hired former Germany and Bayern Munich manager Jürgen Klinsmann to re-evaluate the entire club, top to bottom, over a six-month period. His tasks included identifying a suitable playing style and recommending someone to fill the position of Director of Soccer. Just over two months later, the club announced the results of that effort, introducing former Ajax assistant coach Winter as the team's new boss, with his colleague Bob de Klerk following him from the Dutch club to be Toronto's First Assistant Coach. Former Plymouth Argyle manager Paul Mariner completed the trio, stepping into the Director of Soccer role. Despite the re-vamp, Toronto's 2011 season was another disappointment; with a record of 6 wins, 13 losses, and 15 draws, the club again failed to qualify for the MLS Cup playoffs (though they did reach the semifinals of the CONCACAF Champions League). The 2012 season was just as poor, leading the club to sack Winter in June and replace him with Mariner, who was then sacked in January 2013. Labels: Aron Winter, Bob de Klerk, Jürgen Klinsmann, Paul Mariner, Toronto F.C. 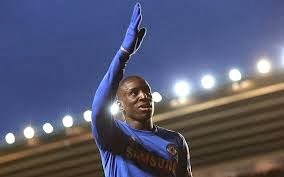 On 5 January 2013, after signing with Chelsea the previous day, striker Demba Ba made his debut, scoring twice in a 5-1 FA Cup win over Southampton. The club acquired the Senegal international from Newcastle on 4 January for an undisclosed transfer fee rumored to be just north of £7 million, signing him to a 3.5-year deal. At the time, he was on pace for his best scoring year ever, with 13 goals in 20 Premier League appearances for Newcastle in the first half of the 2012-13 season (he had scored 22 for Rouen in 2005-06, his first season as a professional, but had not gotten more than 16 in any season since). Manager Rafa Benítez wasted no time in putting Ba to use, including him in the starting line-up for the third-round FA Cup match at Southampton while Chelsea's record £50 million signing Fernando Torres watched from the bench. While the hosts went up 1-0 with a goal from Jay Rodriguez (22'), Ba brought Chelsea level in the 35th minute. Goals from Victor Moses (45'+1) and Branislav Ivanović (52') on both sides of the break pushed them ahead 1-3, then Ba scored again in the 61st minute to extend the lead to 1-4. A final goal from Frank Lampard from the penalty spot (83') capped the 1-5 victory. Ba drew rave reviews for his performance, especially in comparison to the struggling Torres, but he was unable to maintain that form. He finished the season with only six goals for Chelsea in all competitions, then fell out of favor after Jose Mourinho replaced Benítez for the 2013-14 season. With the first half of the season complete, Ba has made a total of fourteen appearances in all competitions, with only three goals. On 4 January 1992, Wrexham beat Arsenal in one of the biggest upsets in FA Cup history. The third-round meeting matched the two teams at the far extreme points of the final Football League table from the previous season. Arsenal had finished on top of the First Division, while Wrexham ended the season at the bottom of the Fourth, spared from relegation only because Aldershot went broke and resigned from the league. The gap had narrowed slightly by January 1992. With Arsenal sitting seventh in the top flight and Wrexham three divisions lower in sixteenth, they were separated by a mere 79 places, as opposed to their previous 92. Still, few people expected the Gunners to have any difficulty dispatching their lower-league opponents when they met in the Third Round of the FA Cup. Played at Wrexham's Racecourse Ground, the match started off according to form when Arsenal took the lead with a goal from Alan Smith in the 43rd minute. Rather than press their advantage, the visitors appeared content to sit on the slim lead, which cost them late in the second half. In the 82nd minute, 37-year old Wrexham captain Mickey Thomas lashed a free kick into the net from 25 yards out to bring the hosts level. Stunned, Arsenal conceded a second goal two minutes later to Steve Watkins and that was it. Wrexham won 2-1, eliminating the top flight title holders from the FA Cup. They almost pulled off another upset in their next match, drawing 2-2 with Division One's West Ham, but fell in the replay at home, 0-1, to drop out of the competition. On 3 January 1932, the New York Giants came back from an 8-3 deficit to win the league 9-8 on aggregate over the New Bedford Whalers. The Giants were owned by Charles Stoneham, who also owned the New York Giants baseball team. When he first acquired the football team in 1927, they were known as Indiana Flooring (and later, the New York Nationals), while another team in the league used the New York Giants name. When those Giants changed their name in 1931 to New York Soccer Club, Stoneham claimed the name for his team, who went on to win the Spring 1931 American Soccer League title. In the fall table, they finished as runners-up to New Bedford, setting up a home-and-away playoff to decide the league's consolidated champions for the year. New Bedford hosted the first leg at their Battery Park ground on New Year's Day, winning 8-3. The teams then met at the Polo Grounds in New York City for the second leg two days later. There, the Giants took a 3-0 lead into the break with goals from Shamus O'Brien (20'), Bert Patenaude (23'), and Bart McGhee (30'). While McGhee had been with the team since 1925, both O'Brien and Patenaude (pictured) were in their first seasons with the club, with O'Brien moving from the former New York Giants. Patenaude moved from the New York Yankees, which was a brief-lived merger between the Fall River Marksmen and the New York Soccer Club. Down 8-6 on aggregate at the start of the second half, New York drew level with goals from O'Brien (53') and Jimmy Gallagher (67'). Gallagher, like McGhee, had been with the team since 1925, but had previously played for the other New York Giants team in 1924. Then, in the 80th minute, Patenaude scored again to put the Giants up 9-8, which ended up as the final score. Despite the constant use of the New York Giants name in the American Soccer League from 1923 to 1932, when the second Giants team folded, the 1931 league title was the only one won by a team with that name. On 2 January 1922, 41-year old Cardiff trainer George Latham became the club's oldest debutant when he filled in for a match against Blackburn. A half back, he had played before, including spells with Newtown (1897-1902), Liverpool (1902-09), Southport (1909-10), and Stoke City (1910-11). He also made ten appearances for Wales between 1905 and 1913. For his last cap, a 1-0 win over Ireland on 18 January 1913, he was the team's trainer, but filled in at right-half. After serving in World War I with great distinction, he returned to Wales and took up a position as a trainer with Cardiff City under manager Fred Stewart. Then, with the team away at Blackburn in January 1921 for a Division One match, two of their players became ill, requiring Latham to step in once again, one day after his forty-first birthday. Cardiff went on to win 3-1. While he never played again, he remained with the team and was an assistant coach under Stewart when Cardiff won the FA Cup over Arsenal in 1927. He died in 1939 at the age of 58. In 1951, Newtown, his first club, opened a new stadium named Latham Park in his honor. On 1 January 1923, Mexico played their first game, beating Guatemala away 2-3. The match was the first of a six-game series between the two countries, organized by Mexico's ambassador to Guatemala, Juan de Dios Bojórquez. Because Mexico did not have an official team at the time (the Mexican Football Federation would not be founded for another four years), Club América, whose roster consisted exlcusively of Mexican nationals, filled the role. Unlike the visitors, the home team, established two years earlier, was a collection of players from different clubs, putting its roster together from the best available footballers in Guatemala City. When they met at the Estadio Marte, the Mexican players' chemistry won out. They took a 2-0 lead into the break with goals from Jose Diaz Izquierdo (25') and Horacio Ortiz (40') before Fernando Minondo (65') pulled one back for the hosts. But that was a close as Guatemala would get, as the teams exchanged late goals from Adeodato Lopez (70') and Constantin Kinhie (72') to set the final margin at 2-3 for the visitors. The teams split the next two matches in Guatemala, then met again in Mexico City in December 1923 for the other three, with Mexico winning two and drawing the final one.